Well this was a lot of fun! You never know how it will turn out until you taste it and this one was a HUGE hit! It somewhat reminds be of that Zuppa Toscana from the Olive Garden but it is so much more depth and flavor to it. As always don’t measure just do it as you see it. Here is a little help. Start with the olive oil and the butter. 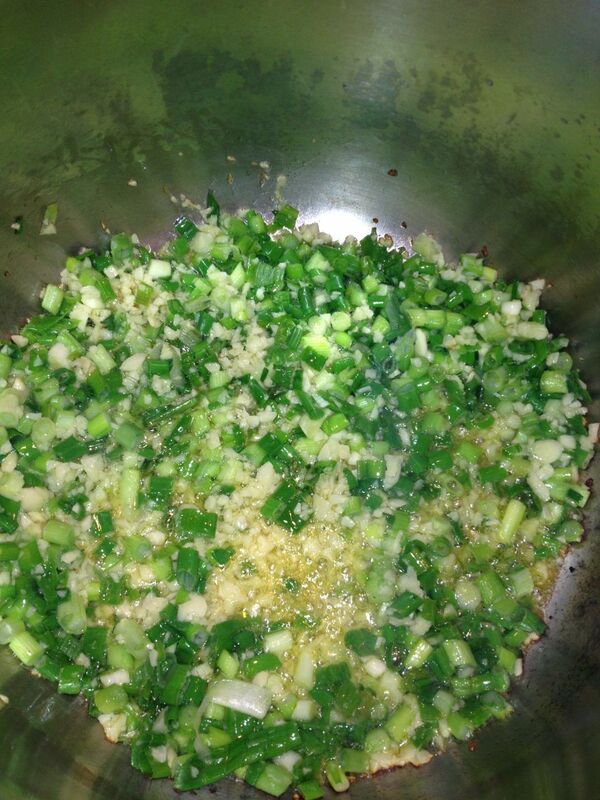 Heat and throw in the garlic and the green onions. Wow the smell! 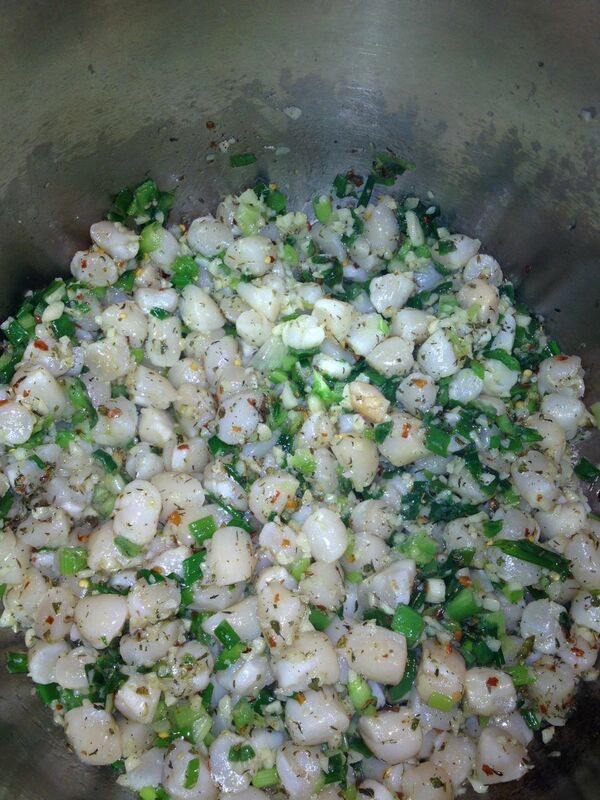 In a bit throw in the scallops and the oregano, thyme, red pepper flakes. Add a generous amount of Herbamare and crack the black pepper. Cook until the scallops are cooked through, stirring up periodically. If and only IF you like it HOT add the jalepenos minced, otherwise SKIP them altogether. They pack a heavy punch. Once cooked through. 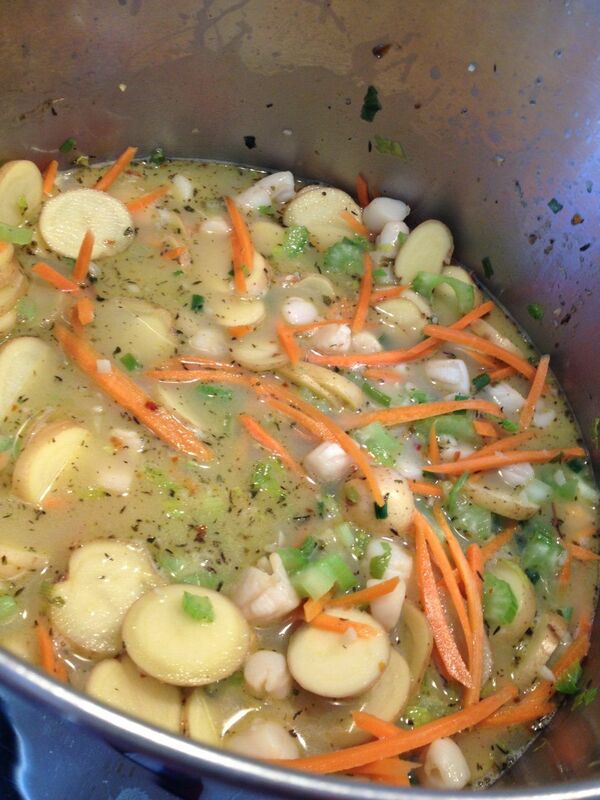 Add the kettle of boiling water and the bouillon and the potatoes, celery and the carrots. Bring back to a boil and cook until soft. This is when you test for taste. If you like it spicy add more chili flakes. 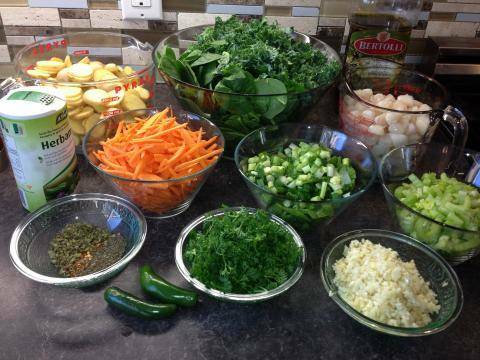 Add sea salt or more Herbamare to taste. Once the potatoes are soft, add the kale and the spinach, and the 2 cups of milk, bring back to a boil and simmer until the greens are soft. 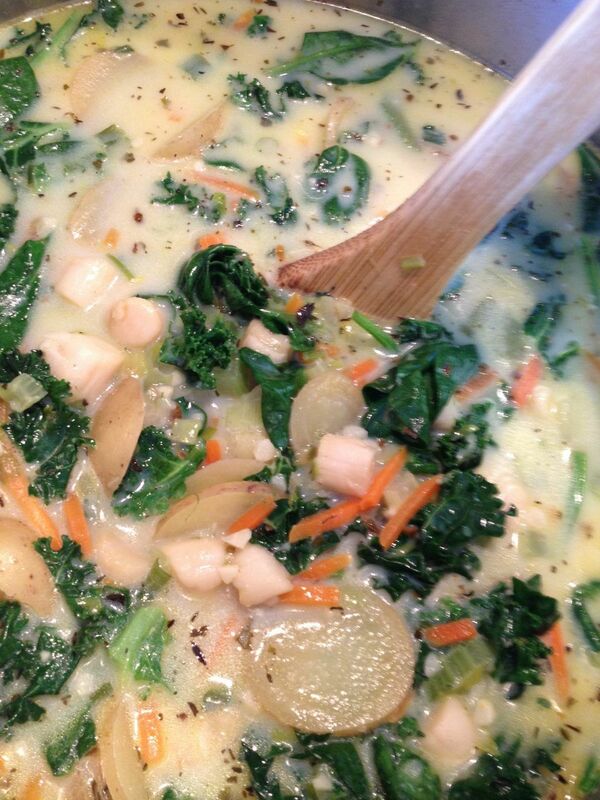 Simmer for another 15 minutes to marry all the flavors, top with parsley and serve! Yum Yum!